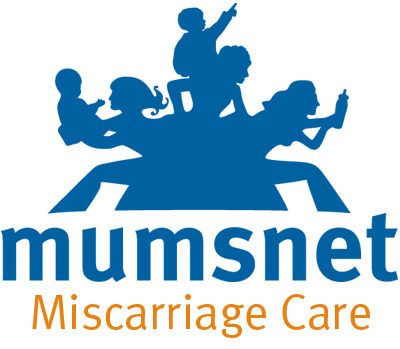 Last week Mumsnet launched its Miscarriage Care campaign, aimed at encouraging key politicians to pledge to improve the care received by women suffering an early pregnancy loss. Mumsnet’s almost 80,000 Twitter followers were encouraged to Tweet or email MPs Jeremy Hunt, Andy Burnham and Norman Lamb to share their personal tragic experiences and ask them if they would make a promise to include better miscarriage care in their next manifesto. Twitter and Facebook were soon awash with some truly awful stories of inadequate care, including women miscarrying on maternity units alongside still-pregnant women, waiting substantially longer than 24 hours for a scan to confirm miscarriage or not, lack of empathy or basic compassion from medical staff, trivialisation of their loss and poor follow-up care. In spite of the excellent and compassionate care received by some women who responded, these stories of unacceptable practice are the ones that stand out, and cannot fail to elicit an emotional response in those reading them. I suspect that relatively few of these poor women made a complaint to their hospital at the time of their treatment, perhaps only reflecting on the experience later and not wishing to revisit such a traumatic time by accusing a busy doctor of not showing enough compassion after the fact. But the fact that so many of them felt the need to respond to the campaign, drawing on difficult memories with painful clarity, demonstrates how the care that is provided can have a long-standing effect on patients – and the NHS needs to listen to them. 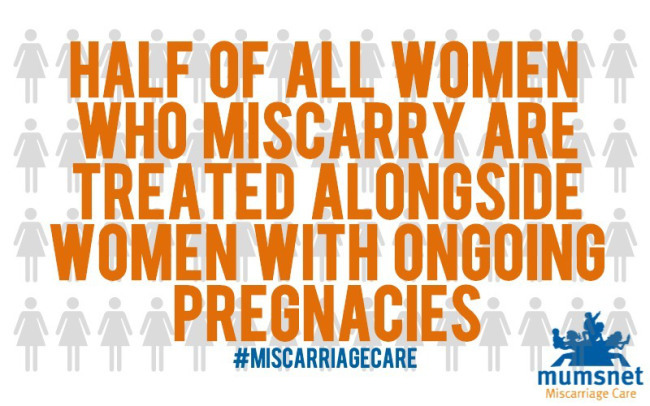 Miscarriage care is only an example. Websites such as Patient Opinion allow users of any NHS service to review the care they have received, enabling them to summarise their experience, state what could have been improved and indicate how the encounter made them feel. Organisations are then given the opportunity to respond. NHS Choices provides a similar function, enabling users to review their hospital treatment in the manner of reviewing a hotel on TripAdvisor, giving star ratings for aspects such as cleanliness, staff co-operation, dignity and respect, and involvement in decisions. It seems that gone are days when a strongly worded letter to the Trust Chief Executive, possibly passed from pillar to post through a Complaints Department, was the only way to make your voice heard if you weren’t happy with your treatment. People are no longer content to sit and silently stew about the obnoxious consultant, the excessive waiting time, or the questionably unhygienic facilities. Before they’ve been discharged they are complaining to friends and family on Facebook or Tweeting their followers with an unfavourable review – and if the service has no online presence to respond to it, they may never even know about it until the local newspaper goes to press. I think it is vital in this day and age that all NHS services provide a means of obtaining online feedback from their patients and users, and making the most of social media is the most immediate way to achieve this. Hospital Trusts with well-managed Twitter accounts like Northumbria Healthcare NHS FT and University College London Hospitals NHS FT provide their service users with the means to instantly tag them in feedback Tweets, enabling them to give a timely and transparent response for improved patient satisfaction – a lot less frustrating than waiting weeks for a response to an initial email from an anonymous admin department, and nipping the issue in the bud before it escalates. It’s not all about dealing with complaints though. Social media provides an important means to convey good news stories about NHS care, in a time when the mainstream media are often more content to focus on the negative. Consistently negative reporting about the NHS can quickly break down staff morale and lead to much lower patient expectations of the treatment they are likely to receive, causing them to be more apprehensive and potentially have a worse experience than if they had total confidence in the service. Social movements like Big Up the NHS aim to spread positive stories about the NHS for the benefit of its staff and patients. Giving service users the means to publicly praise great care is brilliant for staff morale and is important to maintain high standards. The Friends and Family Test may be the official means of collecting patient feedback for NHS services, but the real test is in every Facebook post, every Tweet and every blog where patients feel the need to comment on the care they have received. It should never reach the point where a huge online campaign is needed to improve what should be basic care and compassion. The patient voice is shouting loudly, but the people who can make a difference need to be in the right place to hear it. Like everyone else, we believe the NHS should provide effective, responsive care and treatment to the one in five pregnancies that ends in miscarriage, but while some trusts provide great care, unfortunately, others do not. Please join us in asking politicians to pledge to improve miscarriage care, based on the principles in our Code, by 2020 – the end of the next parliament. The code proposes a series of simple principles, supported by best practice guidelines which, if fully implemented, would significantly lessen the trauma of early pregnancy loss. Reblogged this on Big Up the NHS.